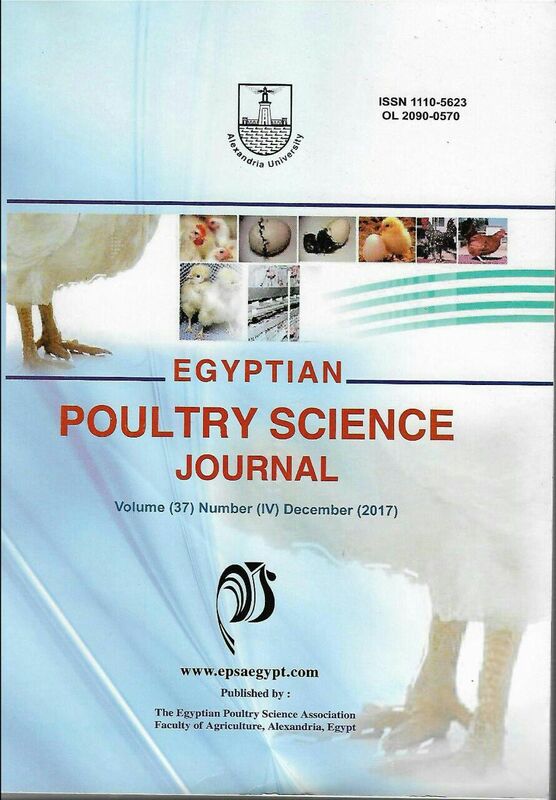 Egyptian Poultry Science Journal (EPSJ) is the official journal of the Egyptian Poultry Science Association, Alexandria University Egypt, formerly since 1980. The journal welcomes manuscripts in all branches of poultry science mainly on genetics, husbandry, breeding, physiology, nutrition, pathology, biotechnology, and on economic. EPSJ publishes original papers, research notes, symposium papers, and reviews as applied to poultry science. It is a peer-reviewed journal. Each published article was independently seen before by two scientific reviewers as a blind peer-review. The assistant-editor uses a program of screening for plagiarism. All right copy reserved to the Egyptian poultry science association. GENETIC APPRAISALS OF RED BALADI AND SINAI GABALI RABBITS USING MICROSATELLITE MARKERS AND DNA BARCODING. LATE STAGE RESPONSES OF LAYING CHICKENS FED DIETS SUPPLEMENTED WITH DIFFERENT SOURCES AND LEVELS OF VITAMIN D: 1- PRODUCTIVE AND REPRODUCTIVE PERFORMANCE. EFFECT OF PROPOLIS AND ZINC METHIONINE SUPPLEMENTATION ON IMPROVEMENT OF PRODUCTIVE, REPRODUCTIVE AND IMMUNITY PERFORMANCE OF LOCAL DEVELOPED INSASH STRAIN UNDER EGYPTIAN SUMMER CONDITIONS.